Home » Blog » Your new puppy: what to expect! Your new puppy: what to expect! If you have recently welcomed a new addition to your household in the form of a puppy, please accept many congratulations from the team at ROYAL CANIN®! Our priority is always to put your pet’s needs first; therefore, we recognise what an exciting and important (yet challenging) time this is for you both. We want to offer you our best wishes and support not only for the start of your adventure together with your puppy but throughout your dog’s life. Understandably, when a young puppy is involved, milestones will quickly be reached, things will change rapidly and there will always seem to be an awful lot to keep up with. Therefore, we have summarised a quick guide of what to expect and when to expect it – when it comes to your new pup! At this point, you will probably have chosen your puppy and hopefully visited the whole litter and Mum at the breeder’s house – but your pet is still likely to be being cared for by its Mum for now. Make sure you have spoken to your puppy’s breeder about ongoing healthcare including: diet, worming, flea treatment and vaccinations. The breeder should have already started with most of these. Register your new pet with a local vet that you have spoken to and are happy with, ensuring they can provide immediate ongoing care as soon as the puppy is under your ownership. You are likely to bring your pup to your home around this time. Before its arrival, make sure your house is puppy proof and buy all the kit you need before pup arrives (if you need more information about this, there is plenty available on the ROYAL CANIN® UK website). To minimise the risk of digestive upsets, remember it is best not to switch your puppy’s diet to one of your choice until they are well-settled in their new environment. Even then, if you do decide to switch their food you need to do so very gradually. This means you need to make sure you have plenty of the food they are currently being fed available when they arrive home with you. 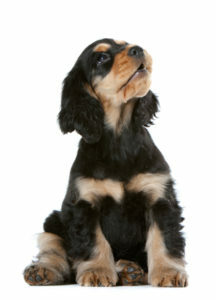 This is a very sensitive period for your puppy when it comes to their learning and socialisation. It is really important to safely expose them to as many new things during this time period as possible, to ensure they develop into confident and well-rounded adult dogs. Start and stick to all good habits as soon as your pup has settled into its new home, usually at around 10-12 weeks onwards but certainly before 16 weeks of age. These “good habits” should include: toilet training, teaching not to jump up, teaching not to bite and scratch, keeping off the furniture, feeding times and tooth-brushing – to name just a few. Take advantage of any “puppy parties” at your local vets to start good habits at a young age and to pick up more tips. Puppies should have had all their vaccinations well before they reach 16 weeks of age so they can start outside socialisation as well. Before your pup is fully covered with all its vaccines, speak to your vet about the best way to socialise them without putting them at too much risk – this may involve carrying them around with you on outside trips and/or visiting friends’ houses where you know the only other dogs are all fully-vaccinated, healthy, well-behaved adults. Your vet will be able to give the best and most tailored guidance for your situation. Your puppy will now start to cut its permanent teeth. Ensure all toys for chewing/teething are safe and have your vet’s approval. Reinforce the message that chewing is for toys only and not for people and/or household furniture. Do this by rewarding your pet when they show good behaviour. Never use punishment as a deterrent as this could cause your pup to develop fear-based aggression. Unless you plan on breeding from your puppy later on, neutering is generally recommended at this point, as it carries many health benefits for your dog. Speak to your vet to get advice tailored to your pet’s specific needs and remember to discuss your pet’s diet again at this point as their dietary needs will change once they are neutered. Your pet will experience a second sensitive period, now it is in its adolescence, again where learning and socialisation are key factors to healthy emotional development. Continue to help your pet to develop and grow in confidence by allowing your puppy to experience different situations and by teaching him or her how to behave well in those conditions. The age at which your pup is fully grown will be dependent on their breed/size and will usually be somewhere between the ages of 9 months (small breeds) – 2 years (giant breeds). Before your pet is fully grown, long strenuous exercise programmes should be avoided. Exercise should be kept brief and regular as advised by your veterinary surgeon and should focus on teaching your puppy how to socialise well and how to do recall and lead walking, as well as other good behaviours. 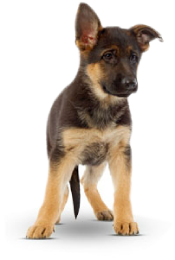 Reputable puppy training classes are recommended to help with the exercise and training needs of your growing dog.